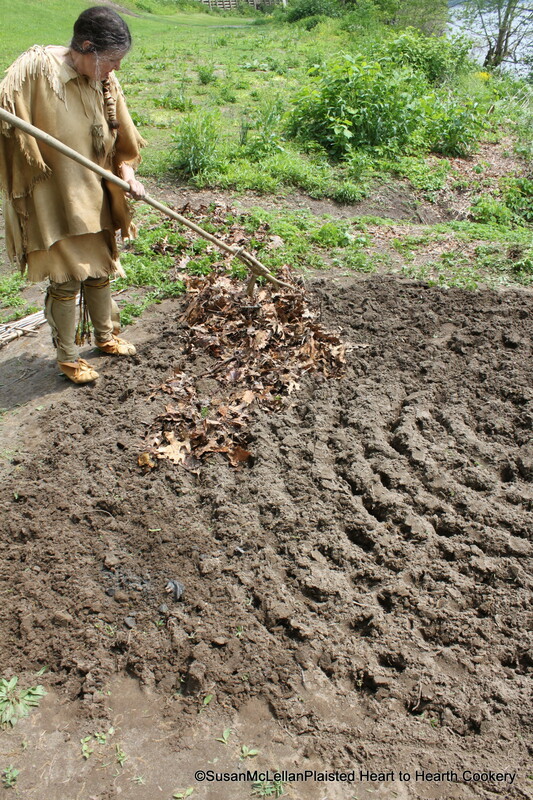 Before firing the garden, the dried grass and leaves were raked so the fire would not spread. The small piles of roots, weeds, small brush that had been dug from the garden were dried in small piles and then burned. Since this was a one day project, my small piles are still green and I am raking the dried leaves with my deer antler rake onto the prepared garden for the burn.